· Take advantage of today’s low mortgage rates and shorten the term of your mortgage. Remember, the shorter your term, the lower your mortgage rate! · See if you can save money with a different term or by lowering your interest rate with our Mortgage Payoff Calculator or our easy-to-use Refinance Calculator. · There are several easy options to pay off your mortgage faster, including the cash-in refinance and the 15-year fixed. Every day, we help Americans save money by refinancing. Contact us today to see how we can help you. · Only ChangeMyRate.com offers you the Closing Cost Slasher®, a unique method we use to virtually eliminate closing costs. Find out how these great options can help you save money upfront on your new loan. · Our powerful online tools, like MyCMR allow us to close your loan quickly. · 10-Year Fixed Lock in today with a 10-year fixed and pay thousands less in interest. · 15-Year Fixed Lock in today with a 15-year fixed and pay thousands less in interest. 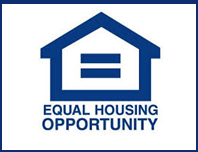 · FHA or VA Loan The FHA loan is great for folks with less equity in their home or who want to bring less money to closing. The VA loan is a top benefit of military service and a top choice for veterans refinancing to pay off their mortgage faster.